WDC Founder- William D. Mensch Jr. | The Western Design Center, Inc.
Home » WDC Founder- William D. Mensch Jr.
WDC Founder- William D. Mensch Jr. In the fall of 1996, Mr. Mensch was honored for his outstanding contribution to the information technology industry at a ceremony during which the 6502 was recognized at COMDEX as the first of seven “defining” products in the twenty–five year history of the microprocessor. He has become recognized as the person most responsible for the continued success and proliferation of use of the 65xx technology which has been enhanced and expanded with the development of the WDC 65xx Microprocessor family products. In 1997, he was the keynote speaker at the world’s first IP (Intellectual Property) conference, IP Europe. He participated on a special panel discussion session concerning “Starting Up Companies to Commercialize University– Generated Technologies” at the ICEE– 2000 conference in Taiwan in August, 2000, which was attended by approximately 500 professors from all over the world. While attending the University of Arizona, he was awarded a scholarship by the Tucson Gas and Electric Company. In 1985, he received the Certificate of Honor from Temple University’s College of Engineering and Architecture and has been recognized at both Temple University and the University of Arizonaas an outstanding alumnus. 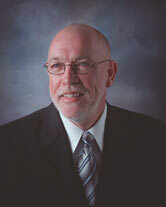 In 1994, Mr. Mensch was named to the College of Engineering Advisory Council at the University of Notre Dame. In 1995, he was appointed to the Industrial Advisory Board for the Electronic Computer Technology Department in the College of Engineering and Applied Science at Arizona State University . In 1996, he joined the Industrial Advisory Board for the newly created Center for Low Power Electronics (CLPE), of which WDC is a charter member. In 1999, in conjunction with the CLPE, the National Science Foundation (NSF) provided an SBIR grant to WDC and the University of Arizona for development of a low power mixed signal rapid prototype system designed around the 65xx technology. From 1994– to 2000, Mr. Mensch assisted in teaching a class in System–On–a–Chip (SOC) IC Design at Arizona State University. He was chosen to receive the Distinguished Alumni Leadership Award from Temple University in April 1998. In August of 1998, he received the Sigma Pi International Fraternity’s Founders’ Award its highest individual award. In May 2002, Mr. Mensch was inducted into the Pennridge High School “Wall of Fame” as an outstanding graduate. The Computer Museum of America inducted Mr. Mensch into its Hall of Fame in June of 2002. In 2004 Mr. Mensch was invited to be a charter member of two advisory boards for Temple University (1) the inaugural Board of Visitors for the College of Engineering and (2) the Inaugural President’s Advisory Board. On December 8, 2005, Mr. Mensch was recognized by the University of Arizona’s College of Engineering as the 2005 recipient of their Lifetime Achievement Award at a luncheon to honor technology and business executives who have made a lasting contribution to Arizona’s economy. Here is a link to his acceptance speech. He became a member of the Industry Advisory Council for the College of Engineering at the University of Arizona in 2006. In January, 2004, the book Leaders of the Information Age identified Mr. Mensch as one of 250 individuals dating back to the 15th century who set the foundation of today’s Information Technology industry. (See www.hwwilson.com/print/leaders_info.cfm for a complete list.) Numerous other articles have been written about Mr. Mensch. He was featured in the “Success” section of the January 1, 2006 issue of the Mesa tribune . In February, 1999, Jonah McLeod, the Editor–in–Chief of Silicon Strategies , wrote an editorial entitled “What’s the Proper Goal for an IP Business Model?” that highlighted Mr. Mensch’s pioneering efforts concerning microprocessor IP. The June, 1998, Forbes ASAP magazine cover story article “The Chips We Live By” featured his contribution to the microprocessor industry. An article in Silicon Strategies , also in June, l998, chronicled Mr. Mensch’s pioneering approach to IP integration. Other articles include Temple University’s Temple Review (Winter 1992) as well as Temple’s Conwell Society Newsletter (Winter 1994), University of Arizona’s Arizona Engineer newsletter (Fall 1995), Commodore World magazine (January 1996), and Arizona Business Gazette newspaper (July 1996). He was also featured in a book titled Which Business? : Help in Selecting your New Venture, published in early 1997 and was mentioned in Microcosm: The Quantum Revolution in Economics and Technology, a book written by George Gilder in 1989. Papers written and/or presented by Mr. Mensch include (1) “System–on–Chip Design Methodology in Engineering Education” presented at ICEE 2000 in Taipei, Taiwan, August, 2000; (2) “Analog Digital Development Board for Prototyping Mixed Signal Circuits” presented at MIXDES 2000 (Mixed Signal Design Conference) in Lodz, Poland, June, 2000; (3) “Behavioral Level Analog Synthesis Targeted to Field Programmable Analog Arrays” presented at MIXDES 2000 in Lodz, Poland, June, 2000. In 1998, Mr. Mensch wrote an article entitled “A Business Model for IP Providers” which was published in the newsletter for the Fabless Semiconductor Association (FSA). Mr. Mensch has established educational scholarships at Xavier College Preparatory in Phoenix, AZ, Pennridge High School in Perkasie, PA, Temple University in Philadelphia, PA, and The University of Notre Dame in South Bend, IN. His most memorable “non– technical” achievement was completion of the inaugural running of the Washington D.C. Marathon in March of 2002 at the age of 58.